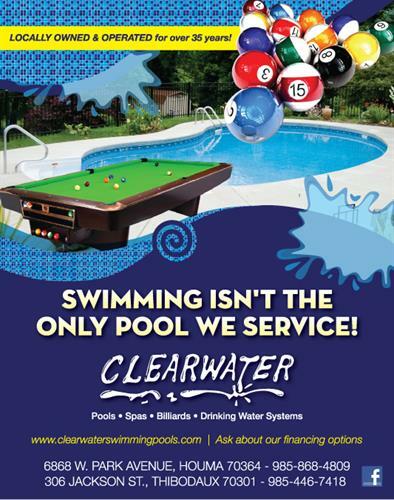 Established in 1979, Clearwater Swimming Pools is a family owned business that grew from a small pool cleaning route. There are two locations in Louisiana with a headquarters based in Houma and a satellite store in Thibodaux. We pride ourselves on quality service and products you will not find at national superstores. We carry national brands such as BioGuard chlorine and salt-pool products, non-chlorine sanitizers such as Pristine Blue and Baquacil, and mineral systems like the Frog Leap system. We stock replacement parts and whole goods from industry-leading manufacturers and we offer warranties on almost everything we sell. As a Sundance Spa and Hot Spring Spa retailer and service station, we have cornered the local hot tub market with industry-leading brands of luxury spas. 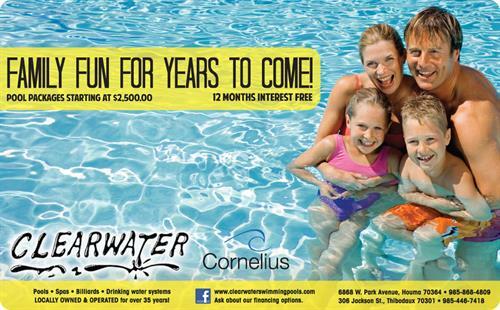 We also have a full-line of Cornelius and Wilbar above ground pool packages including full resin framed pools that hold up better against corrosion and weathering. 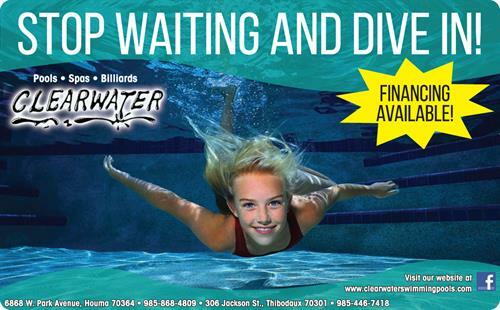 Some of our pools can even be sunk half-way into the ground without voiding warranty coverage. We have billiard equipment, dart supplies, and other game room accessories. We carry Circle E Candles and tart warmers. 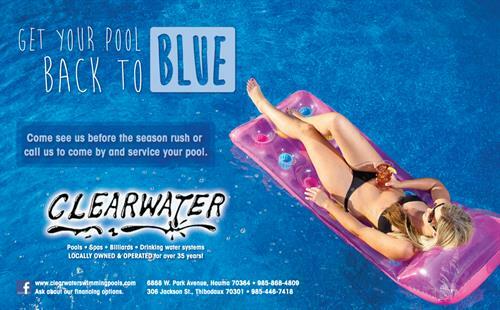 For the kids, we have a variety of pool toys, inflatables, and swimwear. From LA Highway 90, take the LA 24 exit 5.5 miles into Houma. Next, turn left over Bayou Terrebonne at the Hollywood Road intersection, then left again on West Park. We are two blocks on your left.